I love celebrating little ones first Birthday’s with a messy cake smash! This little guy didn’t mind get down and dirty with his cake! Mom did a super job of coordinating and planning for the set up of the cake smash. Cake smashes always turn out better with a little planning and a few props. Not all the little ones enjoy the cake this much, so this was super fun watching and photographing him getting so messy! We started outside on the Genesee Valley Greenway and captured some fall colors and family pictures. The fall season is always a favorite time of the year to photograph families outdoors. The warm colors, and this years warm weather have made for a super busy fall season, but it’s seriously the best time of the year for outdoor family sessions! If you would like to Book a One Year Session you can do so here. One year sessions are a great milestone to capture. The one year session will include a mix of portraits (indoors and/or outdoors) along with the one year cake smash if you would like to include it. The cake smash is so fun, and makes for great Birthday memories to keep always. 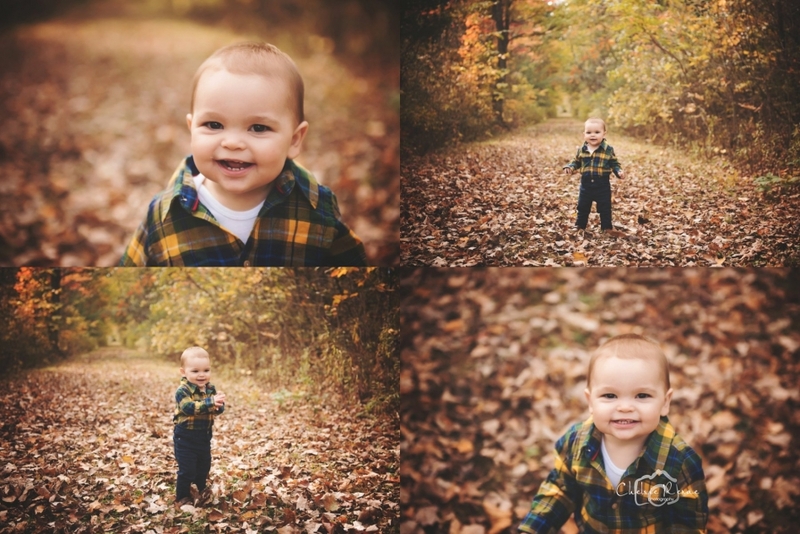 Beautiful, rich Fall foliage makes the perfect backdrop for this Fall Family Session. Book your session here. 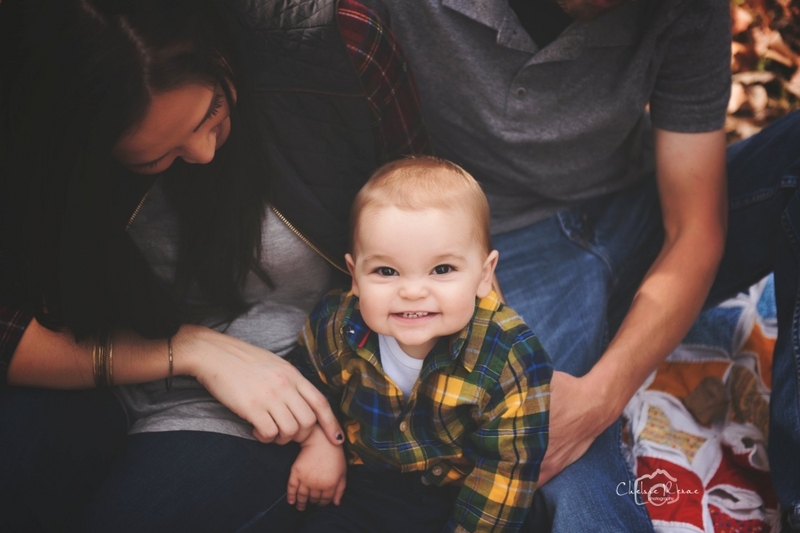 This little man was all smiles in his Fall plaid. 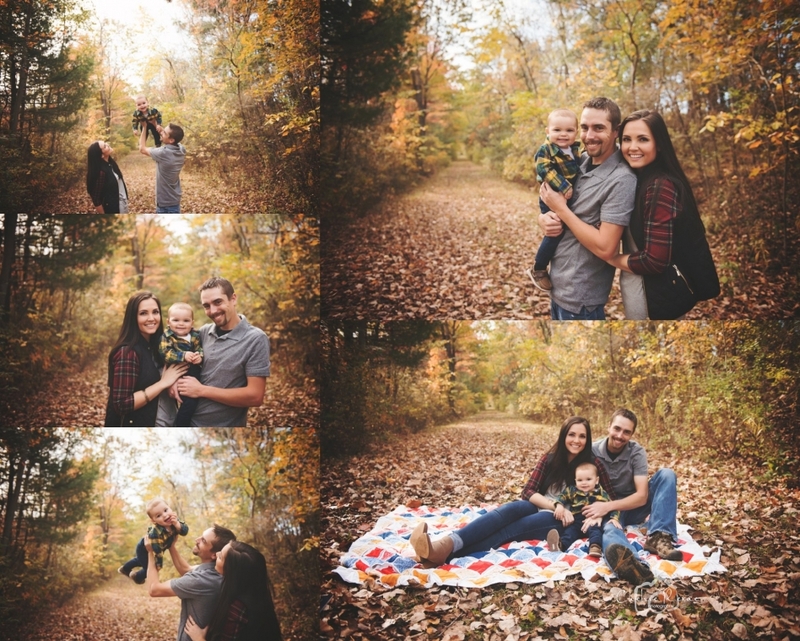 It was the perfect Fall evening for this wonderful family to capture the milestone of little mans first birthday. This adorable one year old was excited to celebrate with a rustic deer cake.